I’m ashamed to admit this, but I’m sure I have more photos of Nirox than I do of my beloved grandchildren. Well … I don’t think that is quite true but every time I come back from a visit to this most magnificent of places, that’s how it feels. These grounds are so extraordinarily beautiful – whether in winter with the stark but delicate outlines of leafless trees, or in summer with the lushness of soft green lawns and dappled shade. 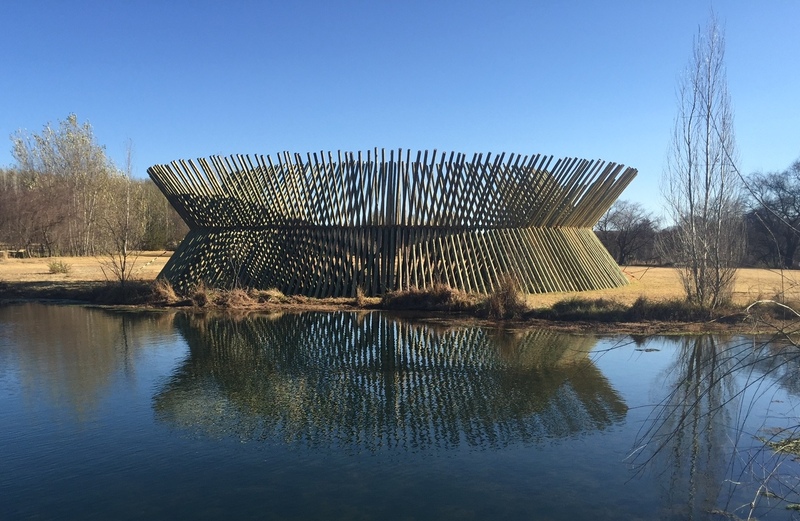 Deliberately low profile, one can only access Nirox when there is some event on – be it a sculpture fair or a music event. A group of us caught the end of the Winter Sculpture Fair A Place in Time which sadly finished this last week-end. many closely examining freshly planted grass areas with steel protective barriers, large hose hydrants, and dead tree trunks embedded with nails … not knowing if they are looking at an artwork or a piece of functional outdoor equipment or a little known gardening practice. and berated the lack of provision of an easily accessible catalogue with identifying images and basic information enabling some point of access to each work. or that it is too expensive and there are no funds to produce a proper catalogue – we paid R20 for a catalogue which could have been extended slightly at minimal extra cost to include all works. compiling explanatory texts is time-consuming. I have spoken to several artists all of whom have said that they supply explanatory texts so there is contextual information available. 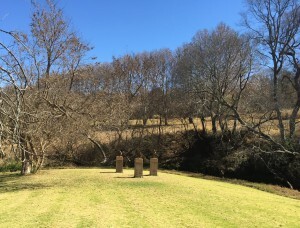 Having said all that, we loved Songsmith by Jenna Burchell – 3 interactive stone sculptures set on plinths at the far western end of the property. 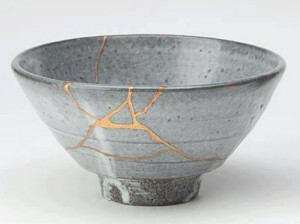 Burchell takes ancient site-specific rocks and ‘repairs’ their fractures along the lines (forgive the pun) of the Japanese practice of Kintsukuroi (repairing with gold laquer). The Japanese philosophy is that something is more beautiful when broken and that damage and ageing should not be masked and hidden. 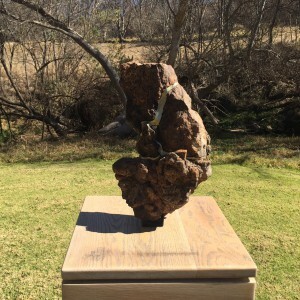 Burchell embeds site-specific sound instruments into the cracks and by combining the gold repair with technology and sound, the rocks resonate when the space around them is cradled in the hands of the viewer. Powerful, sensitive, beautiful, thought-provoking and utterly memorable. Hannelie Coetzee started off as a photographer and in her massive site-specific installation Glistening Demoiselle out of Black Wattle , she chooses her site as a photographer would, taking account of light and view point. She begins with a photograph and reduces the resolution to a point where it is only just legible and then she constructs a grid of pixels so that she can make the image on a massive scale. The growth rings as well as the actual edges of the cut wattle function as pixels bringing the image of the glittering damsel/dragon fly into focus from a particular distance. There is a symbolic paradox in the glinsterjufertjie or dragon fly, an indicator of a healthy environment, being made here of black wattle, an alien invasive species which destroys indigenous natural elements. 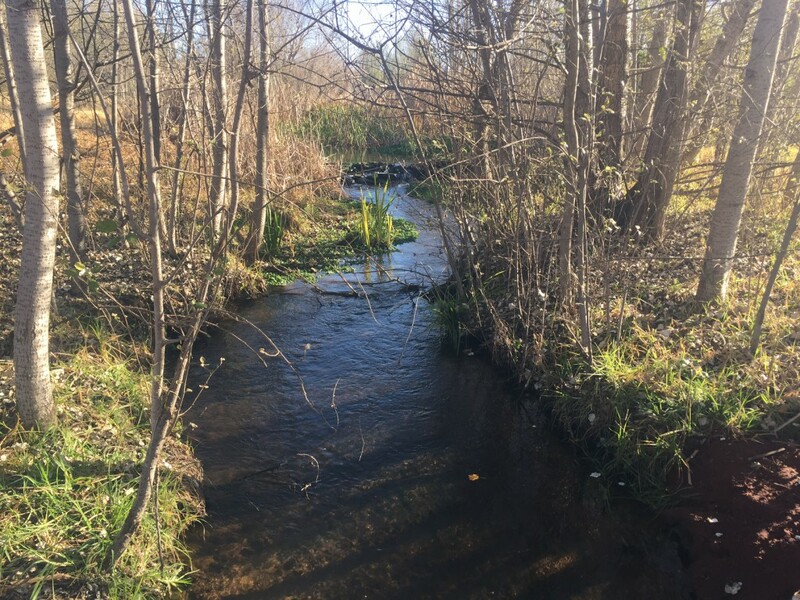 But of course this paradox is turned on its head when it becomes evident that 80 black wattles were used to create this work – so removing unproductive alien species which have a major impact on the water table. 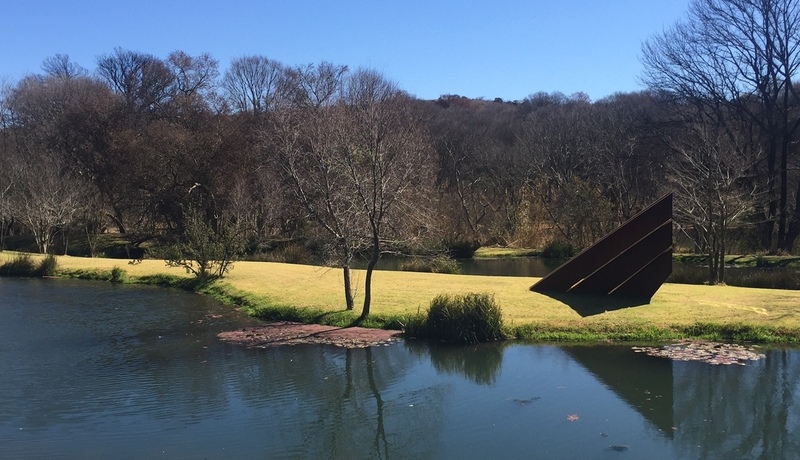 Hopefully this will be one of the works which will remain as a permanent addition to the Nirox Sculpture Foundation. Nirox is an amazing facility so close to urbanized Joburg. 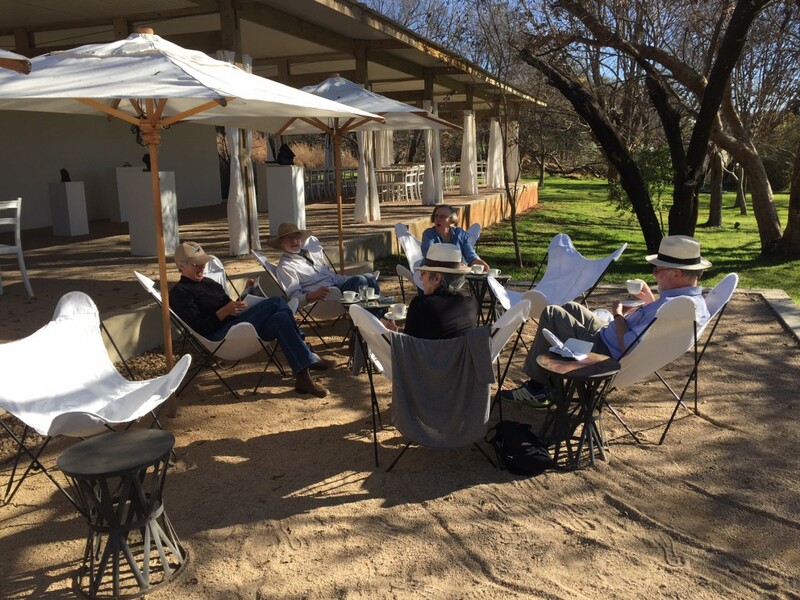 We enjoyed a cup of coffee provided on-the-house, wandered round the beautiful environment, engaged with the sculptures and at the end of the day, as the shadows grew long and the monkeys sat picking seeds in the grass and the air grew chilly we felt warm, fulfilled and restored. Thank you Nirox, artists, friends and Highveld weather. 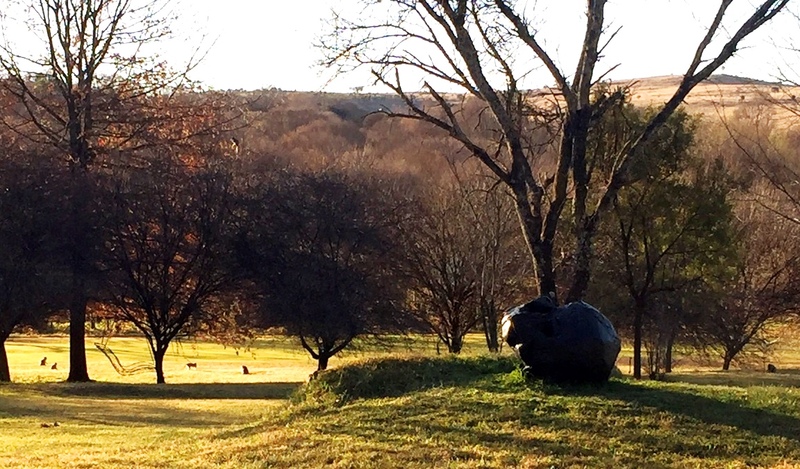 The next event where the Nirox Sculpture park is open to the public is Jazz in the Cradle on 4th September. It will be definitely be Liz at Lancaster’s Pick of the Week and guests staying at Liz at Lancaster are sure to go.